South Africa go into their crunch clash with the Wallabies this weekend with a new look after coach Johan "Rassie" Erasmus Thursday opted to reshuffle his front row and midfield. 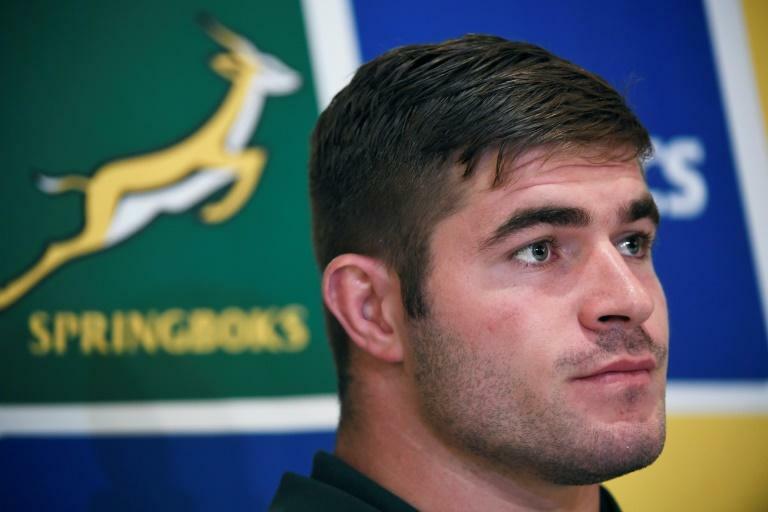 The Springboks head into the Rugby Championship game in Brisbane on the back of a crushing 32-19 defeat to Argentina in Mendoza, and desperate to make amends. "We are looking for a good response on Saturday against the Wallabies and I am sure that this side will be up to the task," said Erasmus. He has made wholesale changes with Steven Kitshoff and Bongi Mbonambi forming a new front row next to Frans Malherbe, while Tendai Mtawarira and Malcolm Marx are set to play off the bench. Captain Siya Kolisi returns to the blindside flanker role after playing on the opposite side of the scrum against the Pumas in both Durban and Mendoza, with Pieter-Steph du Toit at openside flanker. Warren Whiteley completes the loose trio at No.8. Elton Jantjies swaps places at flyhalf with Handre Pollard, who is now among the replacements, with Faf de Klerk again performing the scrum-half duties. Erasmus has also rotated his midfield, which means a first start this year for Damian de Allende, who will resume his centre partnership with Jesse Kriel. Aphiwe Dyantyi and Makazole Mapimpi will be on the wings with the experienced Willie le Roux completing the backline. Toulouse outside back Cheslin Kolbe, previously considered "too small" for Test rugby, is on the bench and expected to make his debut. Since arriving in Brisbane, the squad has been working to improve its consistency and execution, with a focus on their failure to convert scoring opportunities. Erasmus said both sides will be keen to win with the Wallabies also coming off a defeat, against the All Blacks. "Australia, playing at home, will no doubt be highly motivated to bounce back, so we have to be ready for a huge contest," he said. "We have worked hard to rectify our errors of last week and we know the set piece and breakdown battles are going to especially be important. "The Wallabies are known for their abilities at the breakdown and we will have to be accurate and disciplined in those areas."